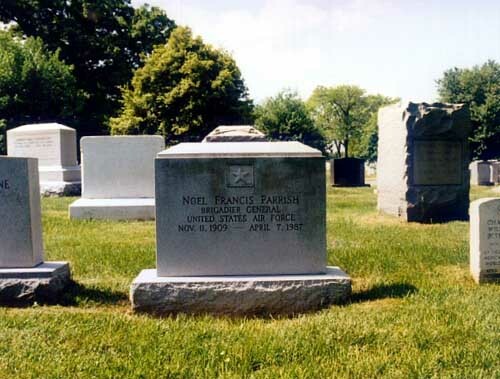 Noel Francis Parrish was born in Lexington, Kentucky. He graduated from Cullman High School, Alabama, in 1924 and received his bachelor of arts degree from Rice Institute, Texas in 1928. 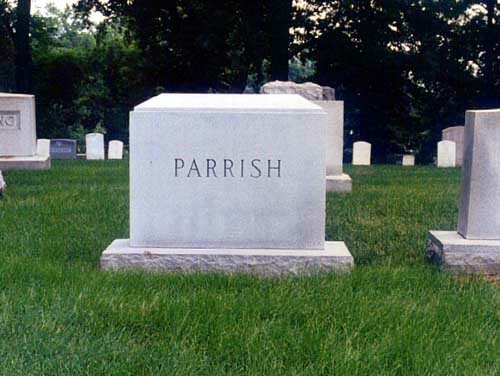 Enlisting in the Army as a private in July 1930, General Parrish served with the Eleventh Cavalry at Monterey, Calif., until June 1931 when he was appointed a flying cadet. After completing flying training a year later, he was assigned to the 13th Attack Squadron at Fort Crockett, Texas. After one year of active duty he enlisted in the Air Corps Technical School at Chanute Field, Ill., in September 1933, and later joined the First Air Transport Squadron at Dayton, Ohio. In July 1935 be resumed his position as assistant operations officer of the 13th Attack Squadron at Barksdale Field, Louisiana. Returning to Randolph Field, Texas in April 1938, General Parrish became a flying instructor and in July 1939 was appointed a supervisor at the Air Corps Flying School at Glenview, Illinois. Moving to Maxwell Field, Alabama, in March 1941, be was named assistant director of training of the Eastern Flying Training Command. In December he became director of training at Tuskegee Army Flying School, Alabama, assuming command of Tuskegee Army Air Field a year later. Entering the Air Command and Staff School at Maxwell Field, Alabama, in August 1940, the general graduated the following June and remained there as a member of the staff. 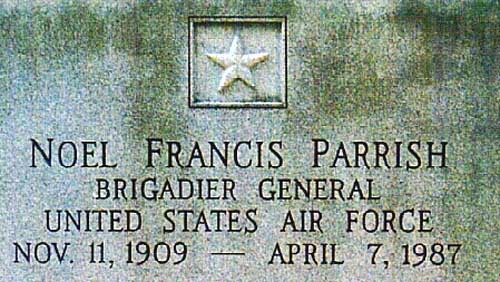 In August 1947 he entered the Air War College at Maxwell Field, graduated the following June, and became deputy secretary of the Air Staff at Air Force Headquarters, Washington, D.C. General Parrish was appointed a special assistant to the vice chief of staff there in January 1951. Moving to Louveciennes, France in September 1954, General Parrish was designated Air Deputy to the North Atlantic Treaty Organization Defense College. Reassigned on Sept. 1, 1956, he assumed the duties of deputy director, Military Assistance Division, U.S. European Command, with station at Paris, France. In May of 1958 he returned to Air Force headquarters to become assistant for coordination to deputy chief of staff, Plans and Programs. His decorations include the Legion of Merit and the Air Medal. He is rated a command pilot.